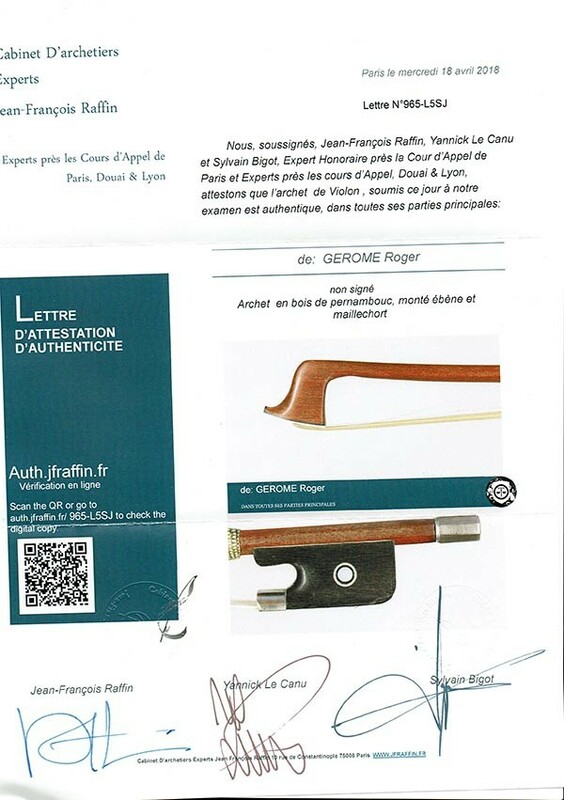 A beautiful French violin bow made by Roger Gerome ca. 1970, with Raffin certificate ! Roger Gerome was one of the great French bow makers of the 20th century - he made highly refined and richly mounted professional bows. The very elegant round shaped stick is strong and made of the best medium brownish pernambuco wood. This is a very refined violin bow with an excellent balance and a great 'feel' when you hold it. 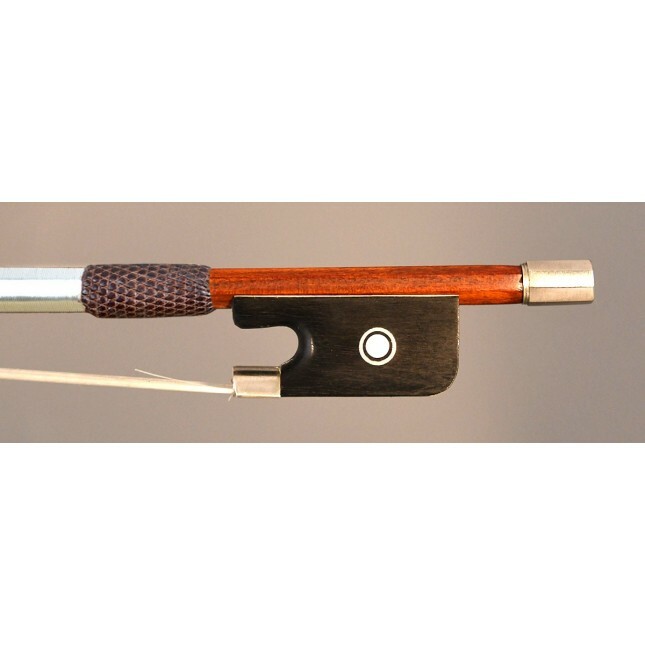 It produces a powerful and open sound as you may expect from a master bow. The bow plays easy and fast staccato goes very well. The frog is mamd from good quality ebony wood. The beautiful button is ebony with 1-piece cap. This bow is in good condition (no cracks), ready to play - with new hair. 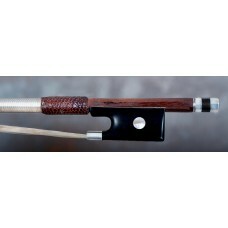 This is a very beautiful master piece of a violin bow !